A new sport born in Greece! mobiXeyes was first used in official Beach-Racket tournaments. Beach-Racket is a new sport getting very popular all over Greece. It is a tennis-like game with the difference that all players in a game belong to the same team. In a few words, they gain points by strongly hitting the ball and they lose points when the ball falls down. 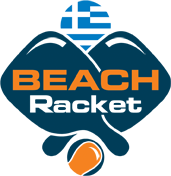 Recently Beach- Racket was accepted as a sport under evaluation by the Hellenic Tennis Federation. Want to learn more for the Sport?